This teacher-friendly guide is packed with motivating lessons designed to improve the content learning and literacy skills of English language learners (ELLs) in K-8. 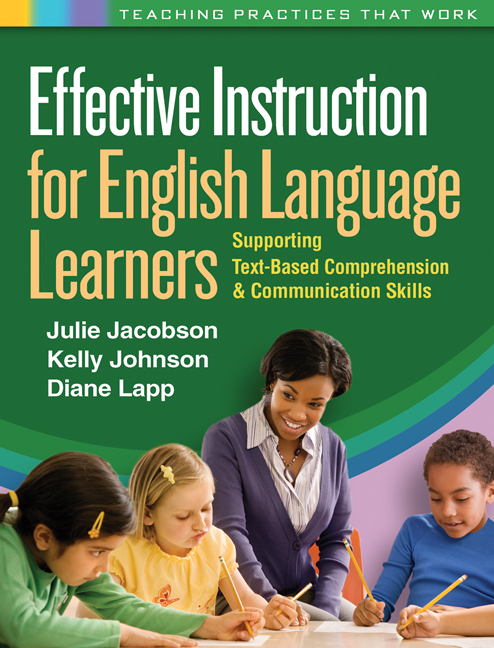 Offering research-supported strategies that teachers can implement immediately, the book explains how to use content-area texts to support ELLs' growth in five crucial areas: comprehension, pronunciation, fluency, vocabulary, and grammar. Unique: Demonstrates how to build ELLs' literacy skills and content knowledge simultaneously. Effective: Research-supported strategies align with both TESOL and Common Core Standards. Practical: More than two dozen worksheets for classroom use are presented in a large, easy-to-reproduce format. This title is part of the Teaching Practices That Work Series, edited by Diane Lapp and Douglas Fisher.